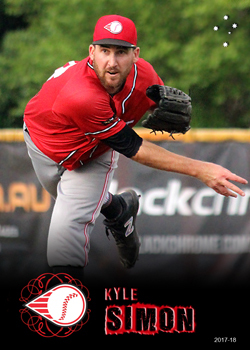 Simon is an American import playing with the Perth Heat during the 2017-18 ABL season. He spent 4 years combined in the minors of the Baltimore Orioles and Philadelphia Phillies between 2011 and 2014. Since then he has been playing independent ball in the Atlantic League, most recently with the New Britain Bees in 2017.